This boom in the number of travelers to Japan has created great opportunities in the travel and tourism industry. Businesses and establishments engaged in this industry have several options to tap into these opportunities. One of these options is to utilize digital marketing. Digital marketing involves all marketing efforts that use an electronic device or the internet. Companies leverage digital channels such as search engines, social media, email, websites and mobile apps to connect with existing and potential customers. Using this method to tap into prosperous markets can be highly advantageous for businesses. This article will explore and delve into the possible digital marketing opportunities in Japan’s travel industry. Over the past years, there has been a continued increase in the number of inbound travelers to Japan. The number of incoming visitors, which stood at 8.36 million in 2012, set record high for six years in a row. As of June of this year, Japan has already had 15,898,880 visits. 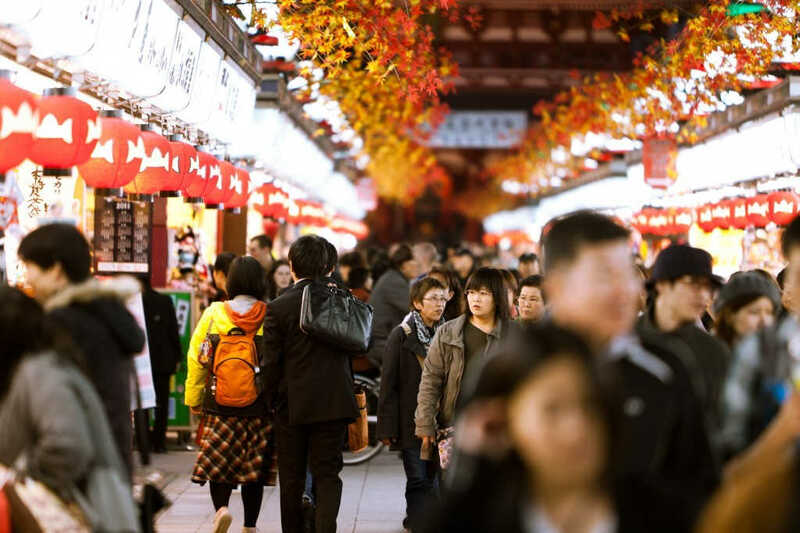 According to Japan National Tourism Organization (JNTO), the estimated number of inbound travelers to Japan in June reached 2.7 million with an increase of 15.3% compared to the previous year, recording the best June ever. The accumulated figure for the first half of 2018 was about 16 million, or up by 15.6%, compared to 2017 indicating that the inbound market has a stable growth during these years. Travelers to Japan come from all over the globe. However, the recent boom in the tourism industry was sustained by an increase in visitors from neighboring Asian nations. For the past year, visitors from China, South Korea, Taiwan, and Hong Kong account for more than 70 percent of the total number of inbound tourists. The number of Chinese travelers grew by 15 percent (7.35 million), while those from South Korea surged by 40 percent (7.14 million). For South-East Asian countries, such as Thailand, Malaysia, Indonesia, and Vietnam, a drastic growth compared with the previous year can also be observed. Other inbound tourists come from western countries such as the United Kingdom, France, Canada, Australia, and the United States of America. In 2017, the majority of inbound travelers to Japan were tourists making up 89%, or 25,441,593 visits. 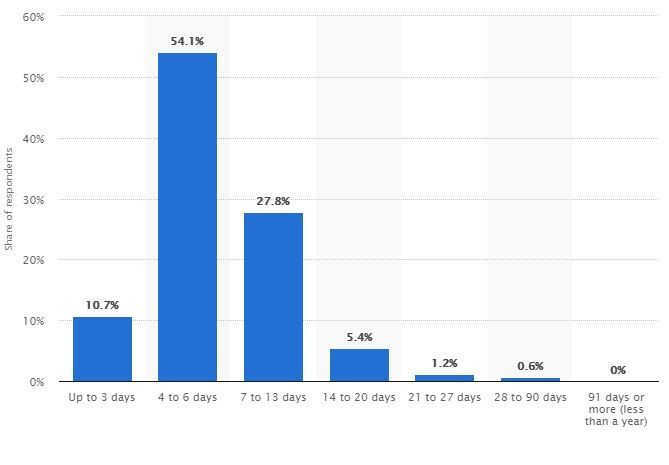 The rest were for business with 6% (1,782,677 visits), and other purposes with 5% (1,466,803 visits). Tourism has grown rapidly in Japan after years of having been considered too expensive, distant and difficult to visit. Japan achieved its target of 20 million annual tourists by 2020 five years early. The newest government target is to attract 40 million tourists by 2020. This boost in the tourism market has been helped by several factors, including a relatively weak yen and more lenient visa requirements, particularly for the very significant Chinese market. The international travel boom continues to be aided by the increase of low-cost carriers and the growing number of people in many countries with adequate disposable income to afford overseas trips. 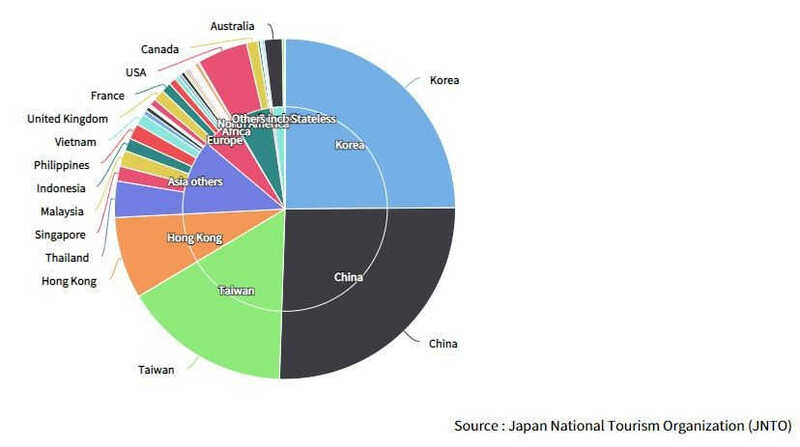 Japan’s travel and tourism industry is a widely competitive sector, worth over 343.2 billion USD. In order to stand out, it is crucial that businesses become aware of the most recent and relevant trends in digital marketing. Digitalization has changed the travel industry extremely over the past ten years. Travelers queueing at counters to make a booking are a thing of the past. Planning a trip is now just a click away—from researching about the trip, to booking the tickets and hotel accommodation. For the purpose of good performance and gaining a competitive advantage, market players are constantly exploring for the hottest and greatest ways to influence their audience and fit their offerings to their target market. Here are the trending digital marketing developments that are transforming the travel industry. In today’s mobile-first world, 85% of travelers worldwide are smartphone users—32% use their mobile devices to book their travels. According to the 2017 Digital Marketing Study conducted by Adobe, around 33% of travel and hospitality companies say that mobile web development and mobile app engagement are critical in enhancing their customer experience capabilities in the next three years. This is particularly vital for reaching the rising generation who have grown up in a digital world. These younger audiences are changing the digital experience from desktops to mobile. The digital marketing study also indicates that 48% of travel and hospitality websites users access the sites via mobile. Developing mobile apps creates a better avenue for companies to communicate with their customers. Companies like Marriott are releasing new apps with upgraded immersive features that go further than merely placing reservations. These new apps include information about must-try activities and destinations near an intended hotel, extending the helpfulness of the app, and inspiring a more profound connection. In addition to mobile apps, players in the tourism and travel industry should make the most of website mobile optimization in fresh ways to attract more and more guests towards their services. Potential customers find it a lot easier to google search destinations or travel portals on their mobile phones or tablets. Thus, mobile-responsive websites and mobile apps are the up-and-coming trend. Results of online research and studies show that travel companies that engage with their audience on social media tend to maximize and leverage their brand image. This leads to a growth in followers, reviewers, and influencers. Travel companies are frequently making their presence felt on leading online social platforms such as Facebook, Instagram, and Twitter through creative posts and advertisements. By engaging their audience on social media, brands can become a preferred choice for travelers. Other than posting self-promotional materials, it is also important for businesses to use social media to provide fast and easy customer service by responding to users whenever they interact with web profiles. Doing this boosts rapport and consumer confidence. 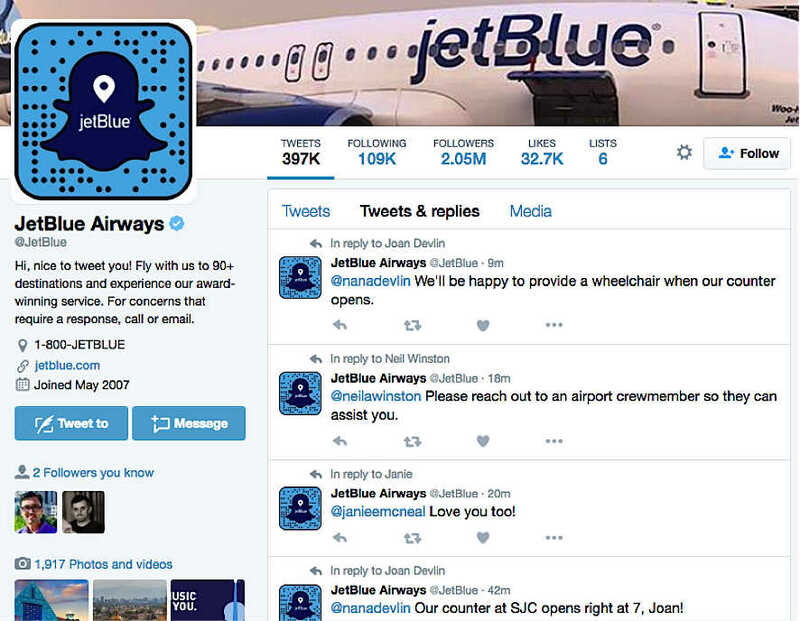 JetBlue, a popular low-cost airline, is one company that uses Twitter to promptly reply to customer concerns. Furthermore, there is a growing number of people who use social media to share experiences during trips. People consider this shared content as impartial travel information that they can use to make their own travel decisions. These recommendations do marvels in influencing most people’s spending habits. It is necessary for companies to understand their customers in order to actually influence them and to deliver content that is both persuasive and relevant. For that, tourism and travel companies are turning to artificial intelligence-driven, real-time analytics engines. These sophisticated programs can learn the preferences of customers and autonomously derive the next best step to take. Adobe’s Digital Marketing Study reveals that half of travel companies today are gathering and using real-time data while 47% are using automated personalization. Personalization and real-time analytics simplify user experience by bringing targeted ads that are not only about offers or services they’re likely to buy, but also those which they haven’t known or thought of but have high desirability. As a matter of fact, when presented with a promotion offer, 30% of people would take a trip even if they weren’t planning to go anywhere, and another 25% would consider going to a new destination they had not originally planned. Thus, the right content, in the right format, for the right audience, delivered at the right time is an essential part of any travel brand’s customer journey. Content is the foundation of all the digital marketing efforts undertaken by a travel company. Content plays a noteworthy role in SEO efforts in the form of images, videos, blogs, and infographics. It is important to produce a message that will engage your target market. For travel companies, relevant videos work as the best SEO strategy. Videos that market a travel company can feature panoramic views of locations, amenities, local attractions, and things to remember before visiting places, among others. Images have also proven to be very effective for digital marketers. Colorful visuals attract customers and increase their willingness to book or purchase. An example of great content is the series of short films produced by Marriott in an effort to appeal to a younger generation of travelers. Apparently, their attempts have paid off. One of their short films, Two Bellmen, which was filmed at the JW Marriott Los Angeles and released in March last year, has garnered over five million YouTube views at the time of writing. Influencer engagement presents increasing opportunities for brands to deliver relevant and impactful messages to their target audience. Marketing your brand through influencers whose opinions, reviews, and testimonials can attract the attention of the press and the public. Travel influencers who have a huge fan following on Instagram or Twitter and those whose profiles reverberate with demographics of the target audience can engage with a brand and post images with captions on a company’s social media handles and invite followers to experience the travel adventures for themselves. One of the simplest and most rewarding Influencer campaigns in 2017 was by Airbnb. Coachella is a widely popular music festival attended by celebrities and icons. It’s so well-known that Airbnb decided to use some of the influencers it could contact for their genius marketing campaign. The result was a huge gain in publicity throughout the festival, as stars posted pictures and video of their Airbnb accommodations across social media. 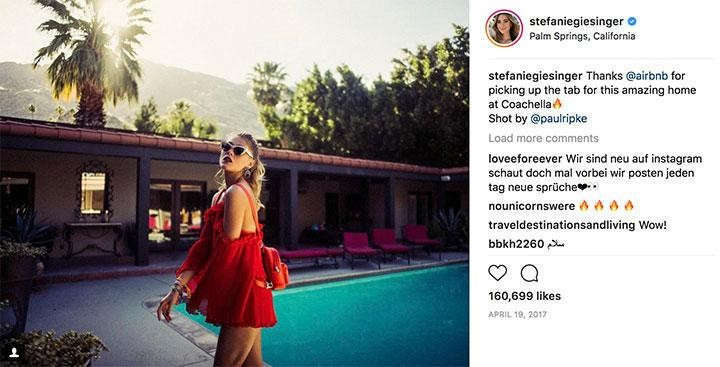 One of these influencers was Stefanie Giesinger, a model with 3.2 million followers on Instagram. She has a wide reach on the platform and when she posts about Coachella and mentions Airbnb, it results in very effective marketing. These trends are only a few of the most effective digital marketing efforts a player in the travel and tourism industry can engage in. There is still a myriad of other strategies due to new additions and developments in the ever-evolving digital world. To sum it up, the rise of inbound travelers to Japan has opened a lot of opportunities for players in the travel and tourism sector. In order to tap into the market’s potential, companies can use digital marketing to reach their target audience. Several digital marketing strategies have been proven to be effective within the travel industry. These strategies include mobile apps and website optimization, social media marketing, personalization, and real-time analytics, content creation, and influencer marketing, among others. Contact us today so we can help you tap into Japan’s emerging travel market by providing your digital marketing needs!